Omaha home remodeling projects are fast on the rise in 2015. Why? Besides the obvious answer of an economy that’s on the upswing, another major reason is that remodeling now has more options than ever, thanks to current technology—helping Omaha homeowners realize many different ways to modernize their homes. More than ever, that means roofing. In fact, there’s a word you may soon hear floating around the market: roofscapes. Roofing has evolved—big time. They’ve come an impressively long ways. They’re far more than a bland top covering as they were in the past. Today, they’re becoming increasingly customized to each homeowner’s needs, the way their smart phones have customized protective skins. One could say that roofs are now perceived as personalized crowns that rest atop a home. Choosing a roof is now exciting. Color. Materials. Shake roofs. Modern alternative roofs that include concrete slate-type shingles and polymer plastic shingles with unmatched longevity and insurance benefits. With all of today’s options to consider, choosing roofing for you Omaha home is now just as exciting as finding that amazing kitchen tile, bathroom tile, or anything else that adds life to a home while matching it perfectly. Roofs are no longer just an obligation; they’re an opportunity. It’s becoming a popular mindset: why not show off what’s on top while building my home’s equity? Where to start? Talk to a contractor. A good Omaha roofing contractor can help you with first steps and provide further education. You’ll not only find a solid warranty, but also locate the best-looking, yet best-protecting, materials retain their beauty against the harshest weather. On top of that, you can also find out about insurance benefits or any tax credits that may apply to your new roof. Home damage happens. But when the storm season hits, insurance claims skyrocket. That’s why adjusters—amidst the frenzy of trying to handle case after case with unflinching accuracy and best practice—need a go-to Omaha contractor who’s equally reliable. Here are three reasons why many major insurance companies choose us and entrust us to uphold their great reputations. 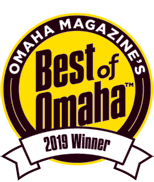 With over 25 years serving our Omaha community, adjusters and homeowners have come to trust the Total Construction name. That’s why adjusters call us first for a ladder assist. When roofing is a touch too unstable, too steep, or otherwise troublesome, insurance companies rely on Total Construction to safely and efficiently evaluate any damage. Not only do we assist with on-site inspections in Omaha, we have an in-house insurance division that works directly with adjusters, often serving as a liaison between adjuster and customer. We’ll ensure the most accurate estimates, prevent any discrepancies between parties and make the process far simpler—and more accurate—for everyone. All of Total Construction Services inspectors are HAAG-Certified. This might be jargon to most folks, but your insurance agent looks for this certification and so should you. HAAG Certification ensures that contractors are a true authority when it comes to storm damage, especially when it comes to damage to your Omaha home’s roofing. Inspectors with certification can quickly and accurately inspect for damage and can evaluate appropriately. More important—these conclusions have true credibility. HAAG Certification is more than just experience. It’s the right kind of experience. In addition to multiple awards, distinctions and customer testimonials for our work, Total Construction has also won the Better Business Bureau Integrity Award—twice. Amidst a vast choice of construction contractors and Omaha roofing contractors, we don’t just bring the promise of good work. We bring proof. Insurance companies can’t afford to waste their time on subpar contractors and roofing companies. At Total Construction, we not only understand that, we’ve worked hard to demonstrate it for two decades. Need a Roof Replacement or Repair? Three Helpful Tips. Looking for a good construction contractor after storm damage? Contact your insurance agent. Total Construction provides experience and dedication to quality craftsmanship for all types of projects — for virtually any structure type. Copyright © 2017 Total Construction Services. All rights reserved.